We were in Tokyo Japan for holidays and visited our friends who were residing in Tokyo. My friend has recently given birth to a child and we decided to visit them near their home. 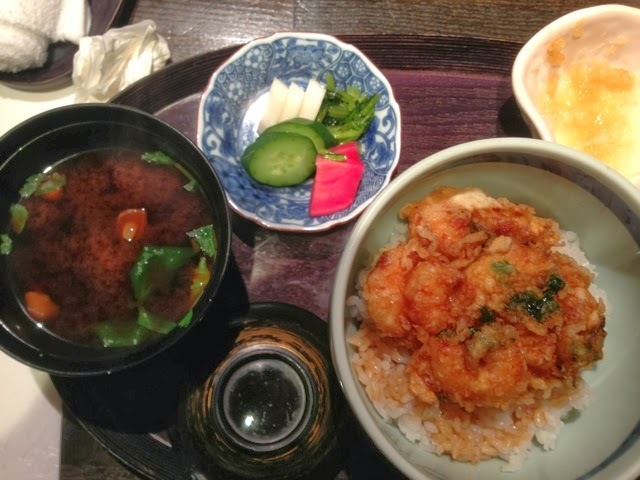 We took a one hour and 40 minutes train ride from Shinjuku to another regional hub, Tachikawa. It was a very well-developed area as if you were in Tampines, Singapore. There were many big shopping malls and the famous Showa Memorial Park. The Showa Memorial Park was built to commemorate the 50th anniversary of Emperor Showa's region. 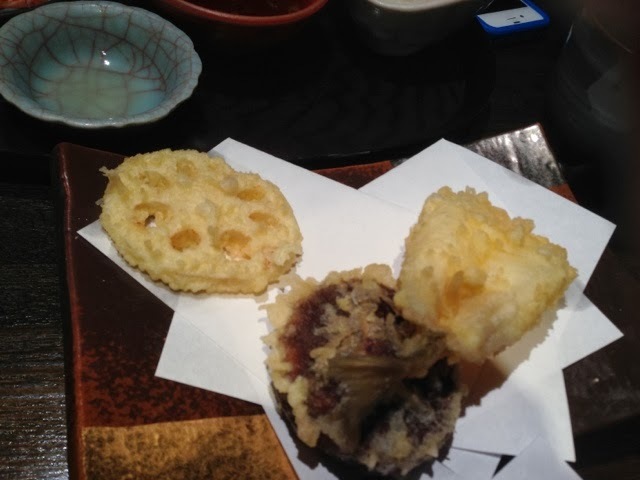 My friends brought us to a tempura place which was located at the second level of shophouse called Tempura Kamoto. 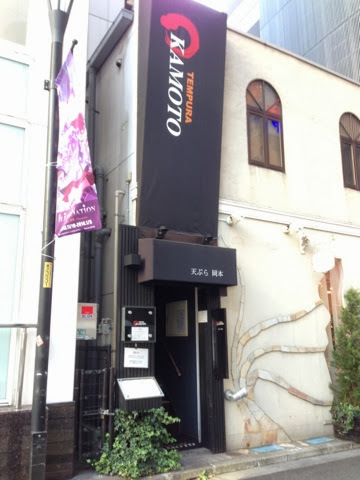 The restaurant can accommodate about ten customers at most. 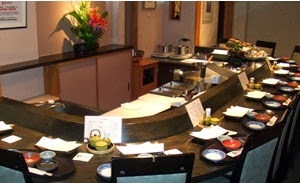 They have a bar counter where the chef will prepare the food and serve to the customers immediately. There was also a small private room for four people. We were warmly received by the staff and the chef. At first, we were surprised by the small layout but later awed by the delicious food they have prepared for us. 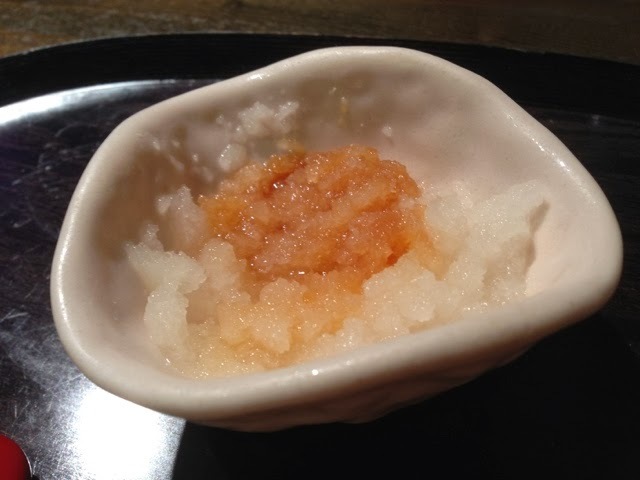 We had the winter season set menu and the chef would prepare food that was in season. Each person was JPY 8,000. 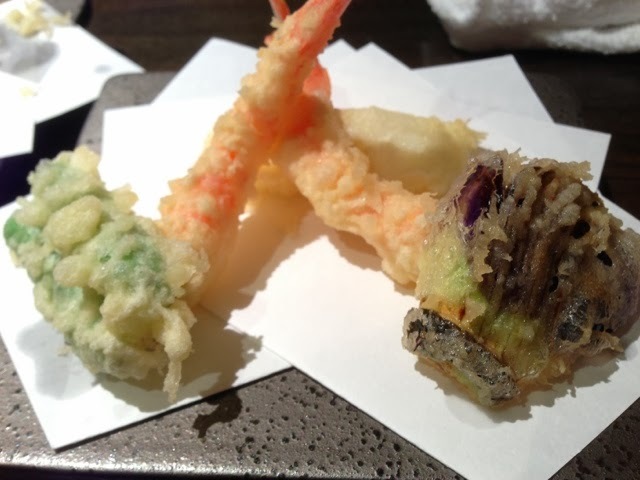 Next was the prawns, eggplant and jalapeno. 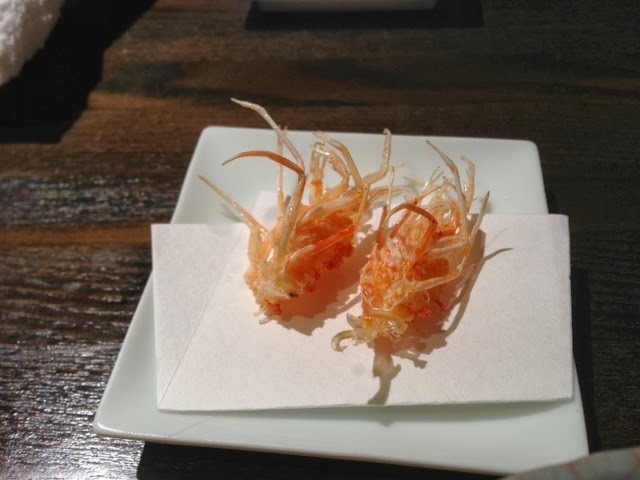 The prawn was succulent crispy. The eggplant was rich in aroma and delicious. The jalapeno was fragrant, rich and once again, delicious. 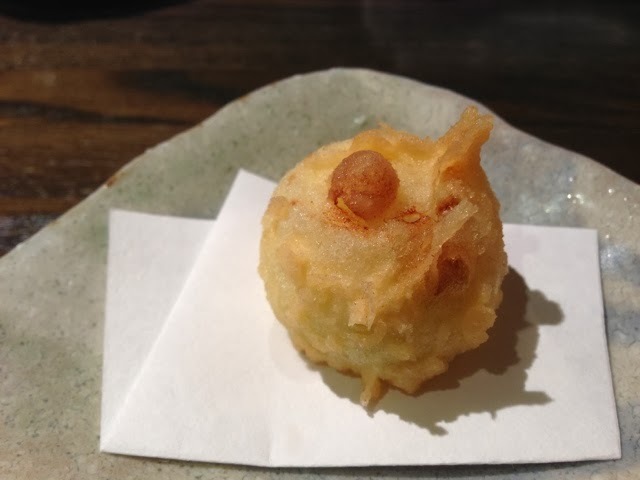 Onion tempura! 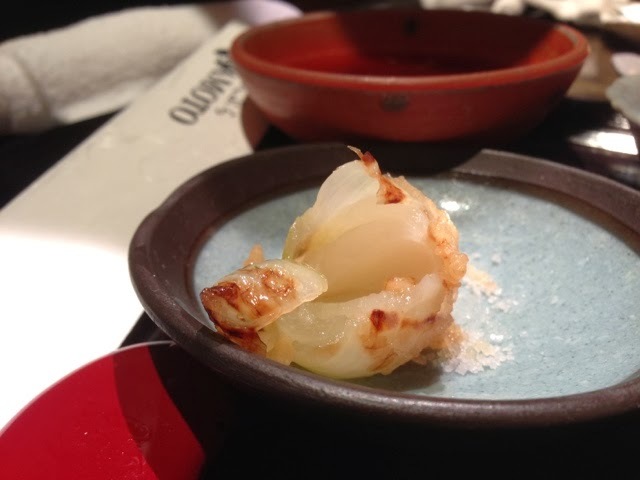 I rarely eat onions but this onion tempura blew me away. I decided to give this a try. I could taste the sweetness spilling out from the onions. It was absolutely delicious. Next was lotus root, mushroom and squid. I love how the chef cooked all three of them. 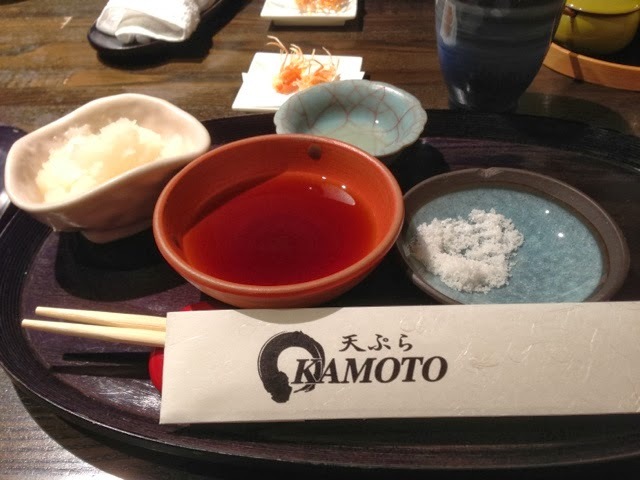 The rich aromatic taste coming from the mushroom was delicious. 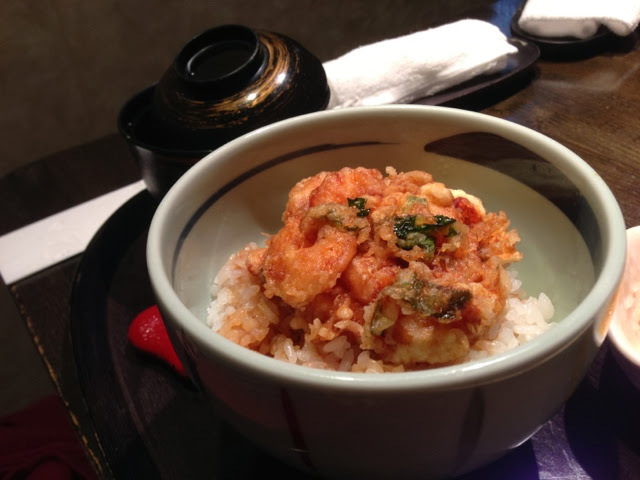 Finally, the last dish was a rice dish. There were two options - one was soup rice dish and the other was rice. Both were equally delicious!! 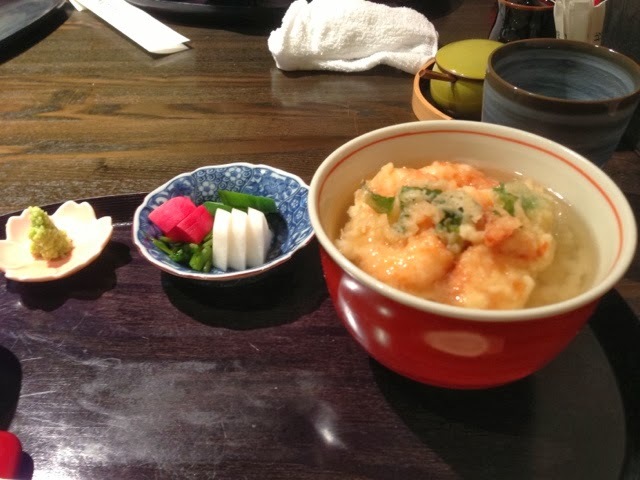 The soup or tea with rice and tempura was mind blowing. I could not believe that there was such a thing. I appreciate the chef who made such a wonderful and delicious food spread. 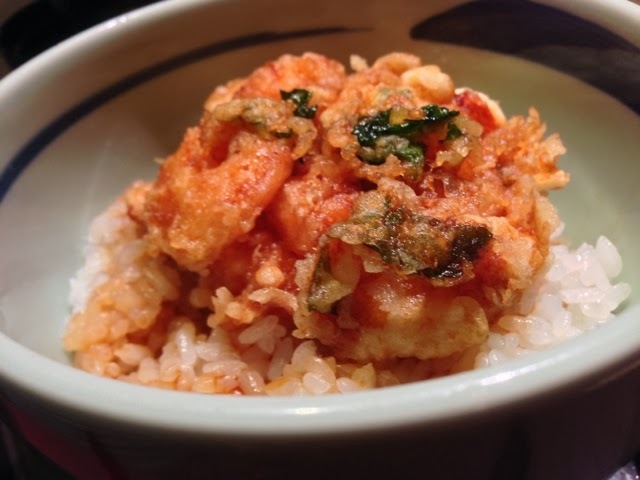 I can't wait to dine at Kamoto Tempura restaurant again.